Libraries provide access to the internet, which is a main resource for many job seekers. 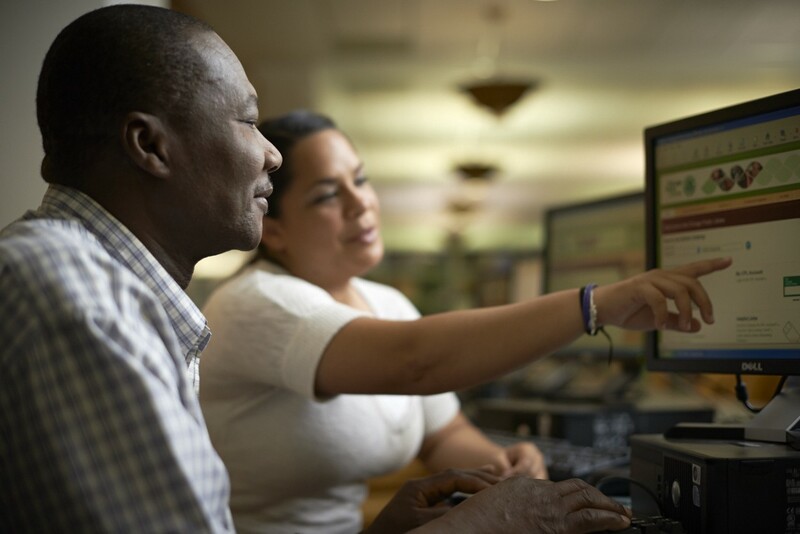 99.2% of public libraries provide internet access, according to data from the 2015 Public Libraries Survey. Among Americans who have looked for work in the last two years, 79% used online resources in their most recent job search and 34% say these online resources were the most important tool available to them. IMLS also supports grants to states that promote workforce development through libraries. In the latest Five-Year Plans (2018-2022) from the State Library Administrative Agencies, over half of states and territories (52%) indicated activities related to workforce development, and over a third (39%) indicated plans to coordinate with workforce agencies. The Nevada State Library and the Nevada Workforce Connections teamed up to implement Nevada CareerExplorer. This database is designed for career exploration and planning by jobseekers of all working ages and includes information on 900 occupations including state specific wages, worker attributes, and job characteristics. The Colorado State Library created the Library Jobline to connect job seekers with employers and job opportunities in libraries. The site currently generates over 168,365 page views annually. Employers create and manage their own job posts, while jobseekers create and manage their own profiles. Jobseekers can request automatic emails to be sent to them when any new job is posted, or when new posts match their profile settings (salary, location, library type, etc.). IMLS grants to museums also serve job seekers. Through an IMLS Community Catalyst grant, the National Public Housing Museum will advance the work of the Entrepreneurship Hub, an initiative that invests in the assets of Chicago's public housing communities. The Hub aims to educate the next generation of entrepreneurs within it public housing communities, while engaging in workforce development and job creation for marginalized communities.